Welcome to Hong Kong Victoria Peak! Discover fantastic Hong Kong Victoria Peak - Here's a detailed tourist guide instruction in getting to the Victoria Peak. HK Victoria Peak is a well known landmark in Hong Kong and famous for its incredible scenic beauty. People are flocking towards the Hong Kong Victoria Peak. One of the most popular tourist attractions in Hong Kong. The full name of this view point is Victoria Peak and it is sure to be high up on your list of must see Hong Kong attractions! Here's the Victoria Peak location map (with green marker) and nearby attractions, Hong Kong hotels and shopping spots. Since the opening of the Tramway back in 1888, the popularity of Victoria Peak in Hong Kong has continued to grow. Currently it hosts more than 6 million visitors each year. The Tram ride alone is spectacularly breathtaking, whether you are going up or coming down. At the end of this seven minute journey you can expect to have the penultimate view of the city of Hong Kong. You can't have this view anywhere else - it's only available at the Hong Kong Victoria Peak! A great insider tip is to secure your seat on the right side of the Peak Tram. This will give you the best angle to capture exceptional video footage while you are moving to the 373 meters hill top. Hong Kong Victoria Peak Tower will give you a full 270 degree view of Hong Kong. From the world-famous Victoria Harbour to the Kowloon Skylines - this view never fails to deliver and amaze. And, if the view is not enough for you, pop into Madame Tussauds Hong Kong, only one of the Peak Tower attractions. Decide for yourself whether they have managed to capture your idols and other famous people believably. The Wax museum also features Ripley's Believe It or Not and a ride through a dark tunnel called the Rise of The Dragon. The Upper Peak Tram station building has restaurants offering fine dining, I believe we mentioned the view? For the keen walking enthusiasts, Victoria Peak offers the Lugard-Harleck Road Trail. Quite an easy trail to follow (you can also opt to take the route that brings you back to the city!) expect to be distracted by skyscrapers that form city canyons, beautiful green mountains and the legendary Hong Kong Harbour. How to get to Hong Kong Victoria Peak starting from the City Gateways? The Peak is situated on Hong Kong Island. 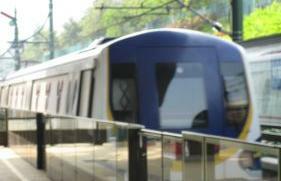 If you are at Chek Lap Kok Hong Kong International Airport in Lantau Island, you can take an MTR trains. This pass will give you a one way 24 minute ride of the Express Trains to Hong Kong Island, 3 days unlimited rides on the MTR and HK$20 worth of travel on any other public transport. Get on the Airport Express Train for the 24 minute trip to the city - you will go all the way to the last station - Hong Kong MTR Station which is adjacent to Central Station. Walk thru Central Station and look for exit J2 then walk towards Peak Tram Terminus on Garden Road. Also, you can take the MTR trains toCentral station Exit J3 then a short walk crossing the Connaught Road Central direction where you'll find the bus stop for Bus no. 15C just outside the to the Hong Kong City Hall. Bus travel time is about 10 minutes @ HK$4.2 that will take you straight to the Peak Tram Station Lower terminal. From there, take the Peak Tram that will bring you up to the Peak. Other alternative way in getting to Victoria Peak. 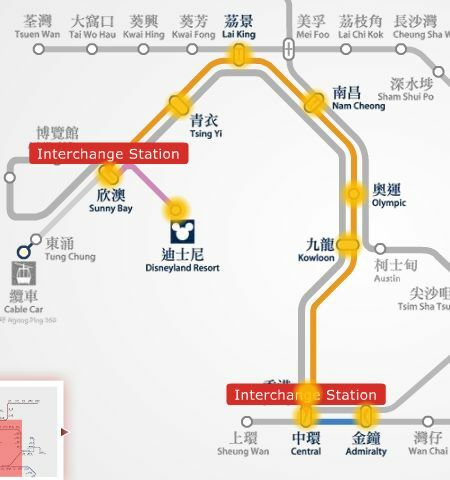 If you are coming from China and pass thru Lo Wu / HK border, you should take the MTR train (please read train safety tips in here) to East Tsim Sha Tsui station Exit L6 (47 minutes @ HK$34.8) and then take a short walk to the nearby TST Star Ferry Pier. Get on board for an 9 minutes Ferry ride to Central, Hong Kong Island (HK$2.5 - upper deck seat). Upon arriving at Central Pier, you'll find the Central Pier Bus station. Take Bus no. 15C (10 minutes @ HK$4.2), your kids will love to sit in the open top bus that will bring you to the Victoria Peak Tram station. Get on the Peak Tram that will bring you directly up to the Peak. Important: If for any reason you don't want to get on the TRAM, an alternate route to the Hong Kong Victoria Peak is available. Take a taxi up through the twisting roads or get into the Bus No. 15 from Central Ferry Pier or from Central MTR Station Exit J3 (Connaught Road Central outside City Hall) that will bring you to the PEAK (about 25 minutes @ HK$9.8). Here's to read details about Hong Kong Victoria Peak shopping.